[By Nick] Dear Readers, I have come across some very disturbing information recently. Out of the hundreds of reviews on this site, none of them are of Butter Pecan ice cream. Sure Dubba covered a frozen custard once, while I reviewed a frozen yogurt but neither of them were real deal butter pecan ice cream. With my love of all things Butter Pecan, I knew this disservice could not last any longer. With this mindset, I went into the grocery store with intent to find a version of Butter Pecan that I’ve yet to taste. Low and behold there was one pint left of Haagen-Dazs Butter Pecan. Without hesitation I grabbed this pint before anyone else had the chance to. Seeing as this is my first review of a Haagen-Dazs product, I thought I’d share my feelings about their packaging. I really enjoy the simplistic yet elegant approach they have going on. You have the pecans front and center in a messy pile, while the rest of the pint just gives you more of a refined feeling for it. I also like the addition of the flavor notes. Some companies nowadays don’t even give you a description but Haagen-Dazs is going all out and telling you what you should expect to taste on the beginning and end of your bite. With phrases like “toasty, buttery pecan” and “smooth, sweetened cream” you can’t help but salivate a little. They even take it a step further with their description of the flavor on their website, “the Häagen-Dazs passion for flavor excellence comes through in this American classic. 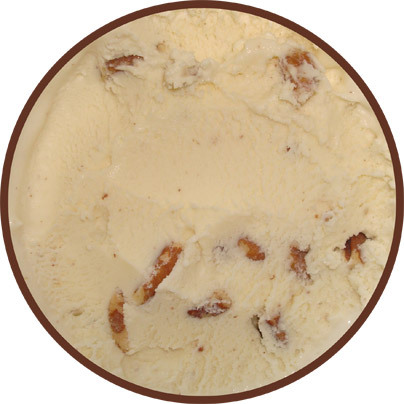 spoonful after spoonful of buttery, roasted pecans is combined with pure, sweet cream”. Don’t ask me why they’re against properly capitalizing words but I think it’s time for me to get spoonful after spoonful of this stuff into my mouth. We’re off to a good start because I can see the pecans through the protective seal. With the seal removed, you can see that the base is a tad bit off-white like it should be. None of that pure bright white vanilla stuff here. You can also see that the pecans vary in size from halves to completely obliterated. It kind of resembles the nut version of a cookies and cream ice cream. I’m just going to say it, this is the gold standard when it comes to butter pecan ice cream. I can’t believe it took me this long to try the Haagen-Dazs version. Let’s talk about the base first shall we. Haagen-Dazs sets the bar high with their buttery base. I don’t think I’ve ever had anything so perfectly buttery in ice cream before. If they were to make that base alone I could actually see myself putting it on pancakes with maple syrup. It’s seriously that dead on. Now don’t go thinking it taste exactly like butter and that Paula Dean would buy it by the gallon because it is tempered a bit with the cream flavor almost giving it more of a milky vibe. It is Haagen-Dazs so you all know they’re one of the best when it comes to texture. It’s very creamy and dense like what we’ve come to know and love from them. Now let’s move onto the pecans. They truly were the star of this flavor and they should be. They added a pleasant and consistent crunch throughout the faux-pint. There was at least one chunk of pecan in every spoonful I had. The pecans also pack a good amount of that buttery goodness as well. Pairing them with the base, you now have a very addicting flavor on your hands. If you weren’t paying attention you could easily blow through the container without a second thought. Writing for the blog though, I have developed more self-control so I was able to stop after about a serving and a half. If it wasn’t for that though, I might’ve just consumed well over my daily limit of fat. If you’re looking for the greatest butter pecan that you can get in the supermarket, look no further my friend. Buy Again? Of course - I need to make up for all the years I’ve gone without it. I agree with the reviewer, Haagen-Dazs Butter Pecan Ice Cream is the most addictive consumable that I've ever come across. I must not be the only one who feels that way. Every other flavor of Haagen-Dazs is always available, but if you're lucky, there may be one or two Butter Pecan flavor left. BTW, your tasting note were spot on! Vanilla ice cream with pecans would be an upgrade! This is the plainest ice cream I've tasted. Yes, it's creamy, of course, but I wouldn't even call it vanilla flavored, yet alone "butter pecan." Lame and utterly disappointing. Butter pecan ice cream is my favorite! I went to Cold Stone and of course ordered some and it was THE BEST tasting butter pecan ice cream that Iv EVER tasted in my 28 year of living! Seeing that I live over an hour away from the closest Cold Stone I've been on a hunt for a brand that I can buy at a local grocery store that can satisfy my tastebuds as much as Cold Stone did! I'm looking for everything you described in this blog and I hope you're correct about this brand. Hopefully I'll be able to find butter pecan in this brand Bc Iv found that it's hard to find, most stores don't order this flavor I suppose! :( although one could find cookies and cream or mint chocolate chip in almost every brand known to man in every grocery store! Well.... Wish me and my tastebuds luck! Way too many pecan pieces messing up the mouth feel. Häagen-Dazs butter pecan is the best. It is simply perfection. But it is hard to find, it is always sold out. Worst butter pecan ice cream ever! $5 buffets have better flavored ice cream in a 5 gallon tub. Bland and hard to eat, I feel robbed and lied to for such an overcharge for flavorless nothing. Last Häagen-Dazs ever buying, too expensive of a gamble. Some corporate sell-out keeps reposting how great it is... Lies, all lies... Just like the author (unless tongue was damaged in a horrific accident causing a mutation of taste interpretation). BAHAHAHA, but seriously, have you not had Haagen-Dazs before? Did you buy a pint from the dollar store that was 2 years past the expiration date? Thanks for the laugh. Feel free to leave all the Haagen-Dazs to us corporate shills. As butter pecan ice cream is my favorite flavor of ice cream I have tried most of the different brand's out there.Then I came across haagen-daz version and I absolutely love it, I do understand why some people feel as though it tastes like vanilla. 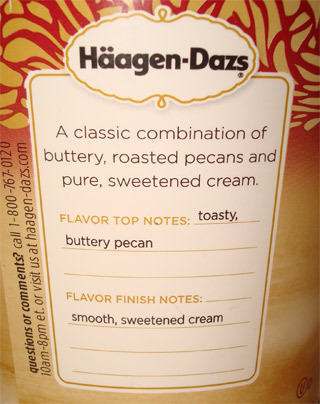 It does seem like haagen-daz could add a little butter pecan flavor and make it a little more legitimate. I do like the amount of pecans in it though. I agree nothing more disappointing than buying falsely advertised butter pecan ice cream. 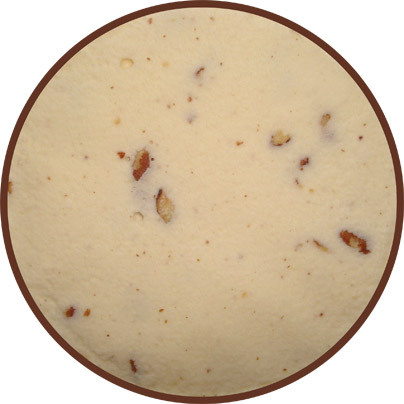 Mayfield original is nothing but vanilla, but try Mayfield southern butter pecan, truly delicious. Haagen daz butter pecan ice cream is great! Whoever Anonomous is has it all wrong. Most butter pecan ice creams taste like maple walnut, or basic vanilia with plain roasted nuts, most don't even taste like pecans. It is buttery roasted pecans & creamy buttery ice cream it steals the show! And yes, I'm addicted to it. The way I like to dress it up in a modified sundae: about 2 tablespoons of chocolate ice cream, 2 scoops of butter pecan, and fresh cut up strawberries. 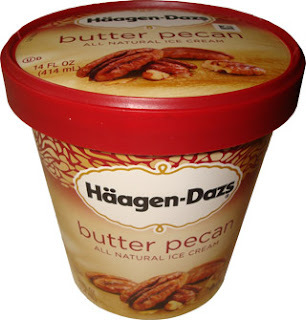 Haagen Daz is an awesome product, but I wonder how my fellow Butter Pecan lovers feel about Breyer's...to me it has the "butteriest" ice cream and whole pecans~I may need to run out right now and get some. It's seriously the best. hey readers, this is what we call a BS comment. Breyers isn't even ice cream. Go away fake comment person! Actually your wrong Dubba Scoops. Bryers does indeed make ice cream and its delicious. "Real butter-roasted pecans nestled in rich, creamy Vanilla frozen dairy dessert"
It's delicious unless you're a cigarette fiend with no palette left. It doesn't have that strong artificial flavor other pecan ice creams have.